Moving to a new place is never an easy task, especially for youth. A new country, a new life and new challenges await. The demands of school, work, new friendships and possibly even a new language can be overwhelmeing to say the least. That's where this inspirational group of students stepped in. One of I Am Stronger’s latest grant recipients is a group called Soul Ambassadors from Evan Hardy Collegiate in Saskatoon. Soul Ambassadors is a club open to all students who are passionate about building community and friendship within the school. 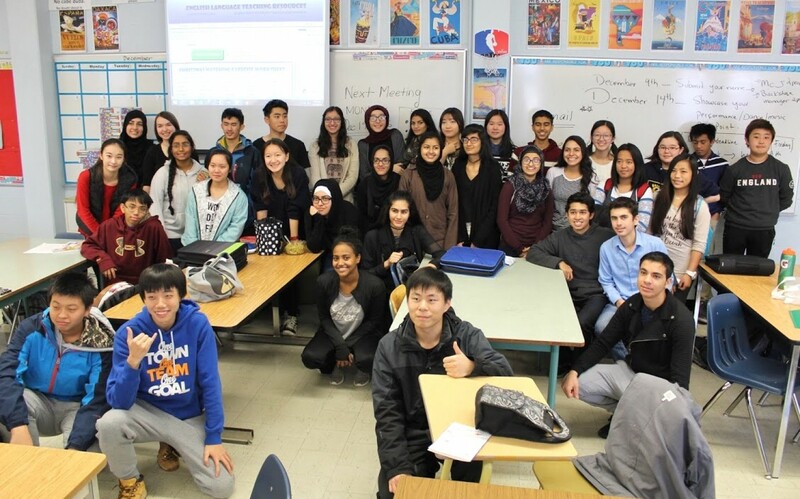 With the school being home to students from over 25 different countries and cultures, the Soul Ambassadors realized that there was a real need to focus on creating a welcoming and inclusive environment for newcomers. That's when they started a new initiative called Project Buddy. Project Buddy pairs up students at the school with newcomers who are not only new to the school, but to the country as well. One of the lead students who initiated Project Buddy is Harkirat Bhullar, a grade 10 student at Evan Hardy who himself was a newcomer to Canada only a few short years ago. Here's what he had to say about Project Buddy. "This program is very important to me because I think it is a great way to give back to my community. When I came to Canada, I received so much support and I think it's important that I do my best to ensure that others have a similar kind of experience! Project Buddy is a great way to reciprocate all the support I once received." So far this year, Project Buddy has just over 40 students signed up for the program. You're never too young or too old to create positive change. This was all done by YOUTH who saw a need, and wanted to make a difference. Amazing stuff and great job to all of the students involved! See their community page here!